This "Trout and Bird" was built as a small fighting knife. 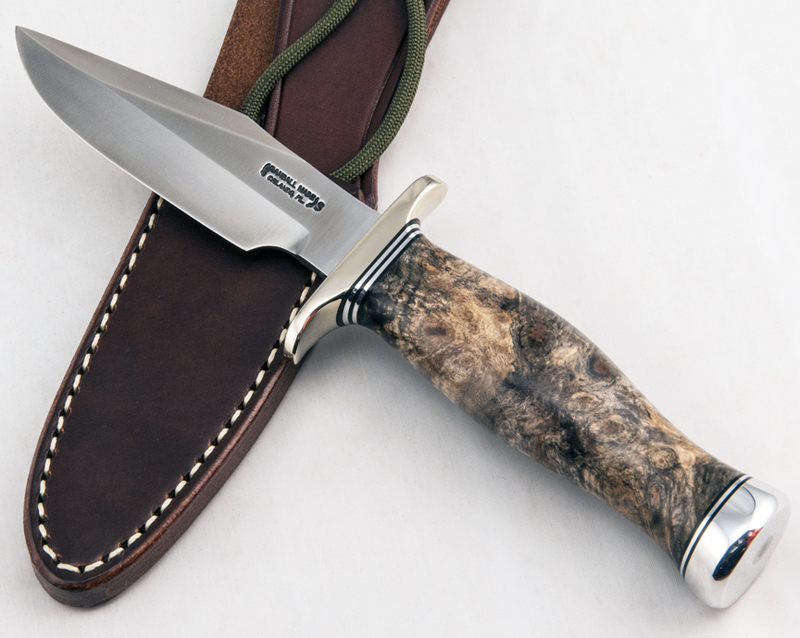 It features a stainless steel blade, nickel-silver double hilt, black and aluminum metal spacers, Commando shaped stabilized Buckeye Burl handle, rounded aluminum end cap, and brown B model sheath. All the African Elephant ivory from which these knife handles were crafted pre-dates the ivory ban of 1989. 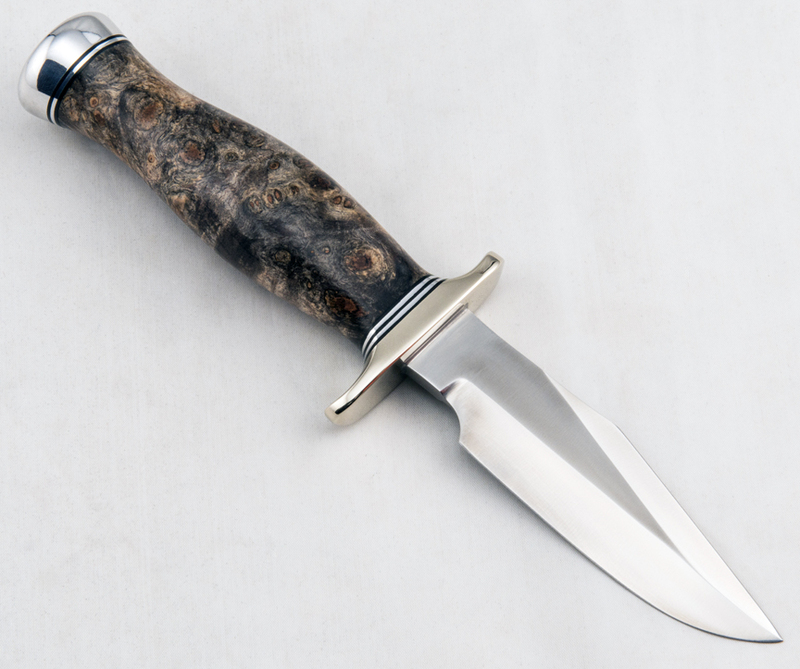 Additionally these knives, handled with pre-ban African Elephant ivory, qualify for the de minimis exemption of the current USFWS ivory restrictions and may be traded in interstate commerce.